First published in 2005, this book examines the contribution of planning and integrated landscape management to the process of reversing the continuing deterioration of our natural environment. Planning for integrated buffer zones is important to conserve national parks, nature reserves, threatened habitats, other ecologically sensitive areas and heritage sites. This book begins with an examination of the role and nature of planning. It identifies the main types of planning problems and details a 'model' planning process that can be usefully applied to resolve them. Several theoretical and practical approaches to buffering environmentally sensitive areas are evaluated and a classification of existing approaches is detailed. Case studies are included to illustrate and test some of these approaches. 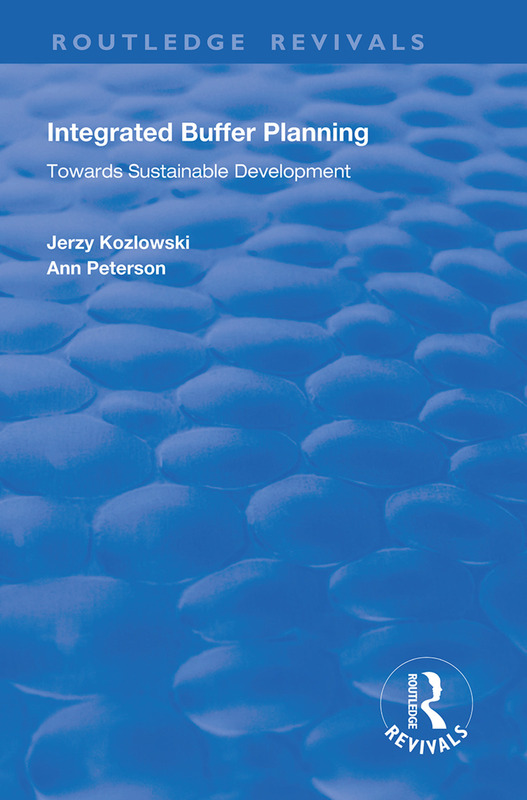 The book concludes by recommending that integrated buffer zone planning should become a standard tool in real-life environmental planning and management. To facilitate this, an innovative approach to the design and implementation of integrated buffers is offered, including a step-by-step planning guide. 1. Buffers: Their Role in Conversation. 2. Planning for Sustainable Development. 3. Protected Areas: Problems and New Directions. 4. Buffer Planning: Historical Overview, Ann Peterson. 5. Buffer Design and Implementation in Australia, Ann Peterson. 6. Buffer Zone Approaches: An Evaluation. 7. ‘Buffer Zone Planning ‘ : Tartry and Gorce National Parks (Poland). 8. ‘Buffer Zone Planning’ : Great Sandy Management Area ( Australia). 9. ‘Buffer Zone Planning’; Other Australian Applications. 10. Buffer Zones in Heritage Conservation Planning. 11. Integrated Buffer Planning Model. 12. The Way Forward. Jerzy Kozlowski is Emeritus Professor at the School of Geography, Planning and Architecture, in The University of Queensland, Brisbane, Australia. Dr Ann Peterson is a Lecturer at the School of Geography, Planning and Architecture, in The University of Queensland, Brisbane, Australia.